The original creator of the “Mind Map” is back with his most advanced teachings to date. 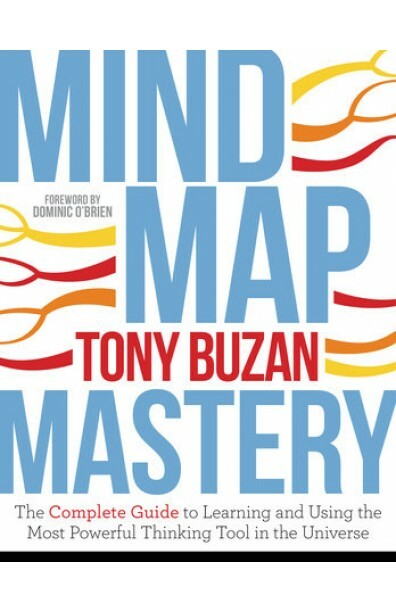 For the past five decades, Tony Buzan has been at the leading edge of learning and educational research with his revolutionary Mind Map technique. With Mind Map Mastery, he has distilled these decades of global research into the clearest and most powerful instructional work available on the Mind Map technique. Mind Map development – from simple to complex applications – and how to deal with Mind Maps which have “gone wrong”, are all covered in Mind Map Mastery with a clarity unlike any other book on the subject. Developed for both those people new to the Mind Map concept as well as more experienced users who would like to revise and expand their expertise, Mind Map Mastery is the one Mind Mapping book needed on the shelf of every student and business person across the world.